The Coahoma Bulldogettes fell to Colorado City in district action Tuesday night. The Lady Wolves won in three sets, 15,25; 15,25; 12,25. MaKynlee Overton led the Bulldogettes on offense. The sophomore recorded 8 kills during the game. Paige Akins earned 4 kills; and Julia Mashburn knocked out 2 aces. Mashburn notched 8 assists in the game and 2 digs. Overton had 4 blocks during the match. Earlier in the evening, JV Red downed the Lady Wolves in two sets. 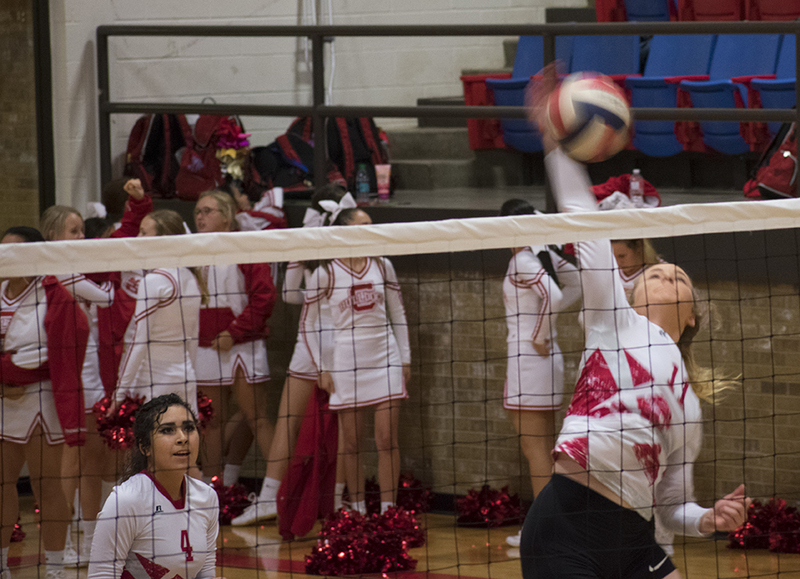 Next: The Coahoma volleyball squad will travel to Coleman Saturday to face the Lady Bluecats again. Varsity will play at 9 a.m. followed by JV Red at 10 a.m. and JV White at 11 a.m. Kills: MaKynlee Overton, 8; Paige Atkins, 4; Caitlyn Corley, 1. Digs: Mashburn, 2; Mann, 2; Corley, 2; Haven Martin, 2; Atkins, 1; Overton, 1.